The automatic floor bolt and horizontal compression seals are self-activated by simply moving the panels to one another. The unique wheel and ramp assembly automatically locks the panel into place without the need to kneel and lock it manually. 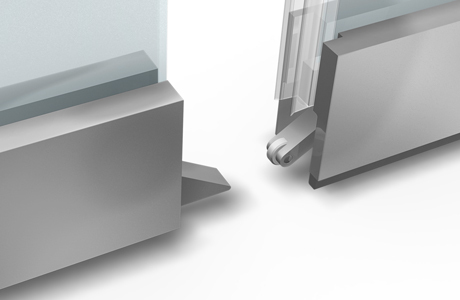 Standard to panels not equipped with the self-activated interlock, is the foot activated floor bolt. 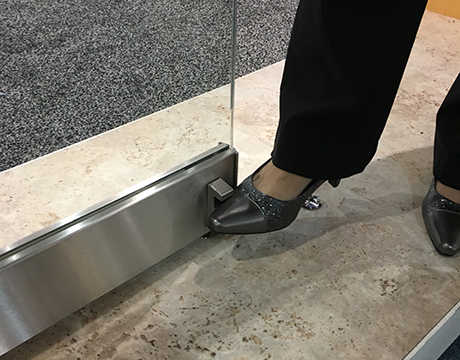 This floor bolt is easily controlled with the foot, eliminating the need to kneel when locking the panel into place. Optional Tubo100 is also available for convenient hand height locking from either side. 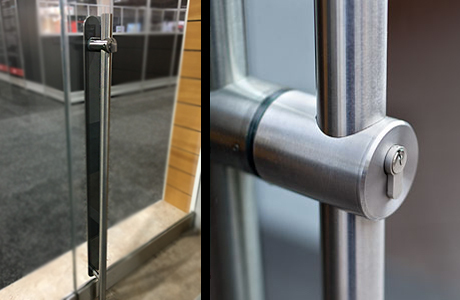 Tubo100 integrates a locking mechanism with a full mortise cylinder at hand height into the tubular designed handle eliminating the need to kneel to lock the door at the bottom rail. Thumb turn operation from inside and key operation from outside. 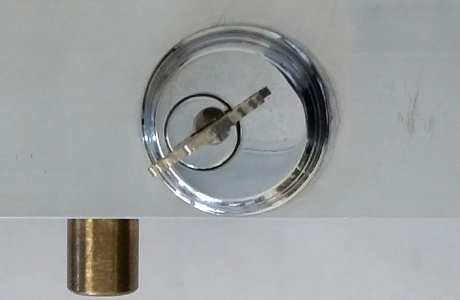 Keyed locking option located at the bottom rail. When desired, the single action end panel can be accessed controlled. Key operation from inside only. The security feature prevents access from the outside of the unit from attempts at prying the floor bolt mechanism. 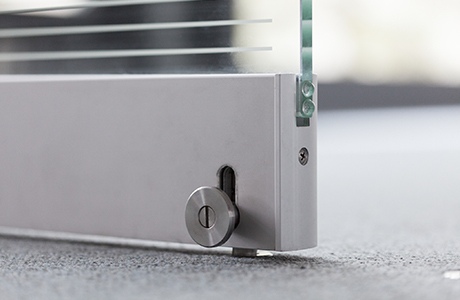 When desired, the single action end panel can be secured from outside access with a spring activated quick release floor bolt .